Amazon CloudFront is a service that gives developers and system administrators an easy way to model and provision a collection of related AWS resources. Amazon CloudFront APN Partners help AWS customers deploy a global content delivery network (CDN) service that accelerates delivery of websites, APIs, video content or other web assets. By helping customers deploy Amazon CloudFront, these APN Partners give developers and businesses an easy way to optimize performance, accelerate content and reduce costs. As an AWS Premier Consulting Partner, 2nd Watch helps enterprises design, deploy and manage cloud solutions and monitors business critical workloads 24x7. For those clients’ that require content delivery as part of their environment, we utilize Amazon CloudFront with nearly every customer to improve performance of their websites and accelerate content delivery to end users simply, reliably and cost-effectively. Whether our clients need to deliver updates and downloadable content to their end users, live and pre-recorded media files, or dynamic web content, CloudFront provides our clients lower data transfer prices and faster data transfer speeds and works seamlessly with other Amazon Web Services most commonly used in their environments. We design and deliver elegant, reliable and long-lasting technology solutions. From cloud-architects, to program managers and developers - we attract and cultivate the best technologists in the industry. 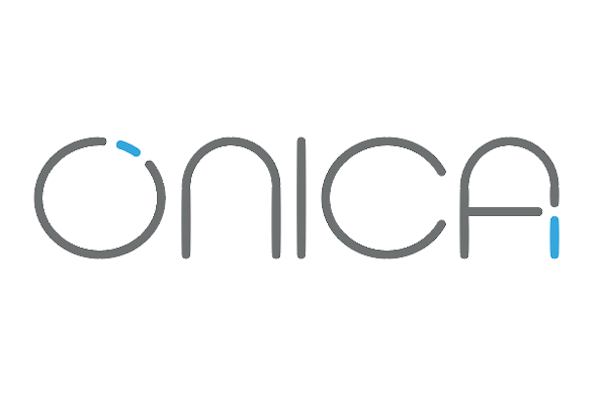 Amazon CloudFront plays an important role in Onica's ability to help customers in 3 distinct areas: (1) For content acceleration – the traditional role of CDN, (2) as a cost mitigation tool. We have found some customers benefit from transferring out large volumes of data via Amazon CloudFront instead of directly from Amazon Elastic Load Balancing or Amazon S3, and (3) Security. AWS WAF has become an important part our discussions with customers. With its integration with Amazon CloudFront, we sometimes use AWS WAF as a way to introduce Amazon CloudFront to customer discussions and solutions. Amazon CloudFront is part of Flux7’s AWS best practices toolchain for helping businesses expand their markets and optimize website performance and accelerate the delivery of static and dynamic web content, APIs, and other web assets. 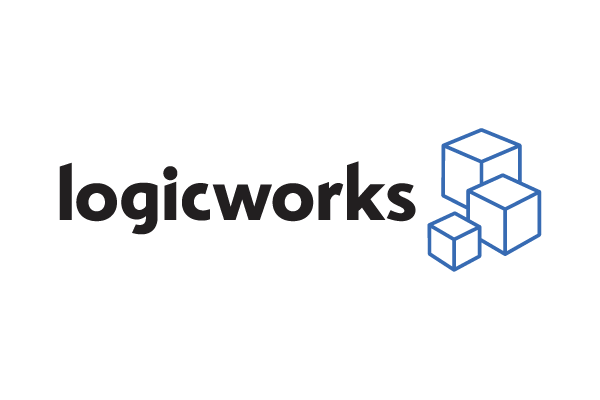 Logicworks architects and manages custom AWS environments for customers that demand the highest security, availability, and agility. As part of our AWS services, we help organizations evaluate cloud-native tools like Amazon CloudFront, assess infrastructure readiness for scalability, and then architect a solution to match application requirements. Amazon CloudFront provides an opportunity for enterprises to reduce end-user latency and dramatically improve performance at a low cost, and Logicworks' engineers can help create the foundational system architecture for CloudFront, maintain high availability connectivity, and help achieve optimum CDN performance. With Logicworks to manage the underlying infrastructure 24x7x365 and help fine-tune performance, companies can be assured of the continued high performance and availability of CloudFront. Led by AWS-Certified professionals, we remove the complexity of architecting, hosting and managing ecommerce and web content management application on AWS. Rackspace Digital provides management and 24/7 operational support for Adobe Experience Manager, Sitecore, Oracle Commerce and SAP Hybris via a combination of certified AWS professionals and our application experts in the Managed Application Services team. REAN Cloud is a one-stop shop for managed solutions to help organizations become more agile and productive. Our turnkey solutions empower innovation and deliver safe and seamless cloud transitions for organizations, without compromising productivity, security, customer service or budget. One solution, REAN Sites, allows you to go from zero to launch in 15 minutes. Our proven system employs Drupal technology, and provides elasticity through AWS. We also offer high security at no extra cost with storage choices for backup, archiving, and disaster recover. Furthermore, let us help you dramatically scale up the content while also reducing load on your web servers by leveraging Amazon S3 and Amazon CloudFront to durable store and deliver content across the globe. Reliam provides boutique-style managed services for Amazon Web Services (AWS) focusing on mission critical, market-facing applications and sites. As an Amazon Advanced Consulting Partner and AWS Channel Reseller, we focus on providing our customers with the best AWS service experience possible, while also concentrating on their application performance needs. Central to this effort is the ability to support a dynamic customer base that requires absolute efficiency and performance from their AWS infrastructure. Reliam utilizes Amazon CloudFront to provide a critical performance component to each customer that demands CDN platform services in order to engage and serve content at the speed of user experience. Stratalux is a DevOps-oriented, Advanced AWS Consulting Partner who builds and manages AWS infrastructure for Media and Entertainment companies. Stratalux uses amazon CloudFront for customers looking to improve website performance times across the US and world. Because Stratalux works with companies to ensure their web presence is the best it can be, Amazon CloudFront is a solution we sell to our customers to meet their customer SLA demands. Applied Cloud Computing (ACC) offers DevOps services for open source web workloads. Amazon CloudFront is configured and managed as part of this offering to serve static content, css, js, images and video files. Beijing Yunshi Data Technology Co., Ltd. is a new star in the field of cloud cost management. It is an important partner of Amazon AWS. Beijing Yunshi Data Technology Co., Ltd. helps users develop applications, migrate applications to the cloud, reduce the cost of using the cloud, refactor cloud applications, and host cloud services. Beijing Yunshi Data Technology Co., Ltd. develops new products and system solutions based on customers' needs providing reliable product quality and optimal service. CKmates is an AWS Advanced Consulting Partner and Channel Reseller in Taiwan. We provide both Cloud architecture services and cost survey analysis, to fit customers’ needs even before they use. We uses CloudFront with our customers because it is cost effective, has the ability scale with demand while reducing load on the origin, and offers high performance. This helps users to keep and gain more customers especially in gaming, media, news, and weather verticals. Highly scalable, customer facing, content intensive workloads are the most popular kind of workloads CloudKinetics enables for our customers. We assist AWS customers by: catering to a geographically distributed audience, frequently updating content, and providing a seamless user experience without spending a bounty. Through the Amazon CloudFront, CloudKinetics has been able to achieve concurrent user loads of 300,000 with ease. Our success stories include handling of both static and dynamic content for Entertainment OTT platforms, Print Media Houses, Digital Platforms for TV News Channels, and Content Handling Workflow Platforms for a leading content service providers. Ecloudvalley Digital Technology is the professional agent 100% focus on Amazon Web Services. We provide licensed original AWS services, including cloud storage, disaster backup, server hosting, server monitoring and many other services; also we provide solution for our customers for management consultant roles, such as working environment for our customers diagnose existing information security risks, system architecture weaknesses, how to improve the system performance, as well as how to save corporate expense on IT. GS Neotek provides AWS Cloud infrastructure migrations to the Media, Gaming, Education and Enterprise Industries, as well as providing high quality content delivery services worldwide by integrating Amazon CloudFront technology into its platform. We have developed the application for analyzing and monitoring Cloudfront. Because of this application, our customers can be more satisfied with AWS Cloudfront. Since starting our Content Delivery Network (CDN) business unit in 2000, we have grown to become one of the leading/major CDN service providers in Korea with our industry leading technology and our in-house developed transmission platform(s). Based on our CDN experiences, references and our platform, we can provide much higher technical support for Cloudfront to customers. Internet Consulting Group utilizes the combination of CloudFront and AWS WAF to provide website protection against unwanted flood requests by automating detection of unwanted traffic based on request rates.This automation can then updates these configurations on AWS WAF to block subsequent requests from known bad users. Speed is crucial to the end user experience and we help AWS customers use Amazon CloudFront to absorb the sudden high demand of end-users’ requests to web or backend servers. We use Amazon CloudFront to (1) offload traffic to reduce the possibility of performance issues (2) deliver high-speed end-user access to the nearest edge locations for downloading and browsing webpages; and (3) reduce licensing costs for live video streaming. One part of Megazone’s business area is Digital Agency and we have been providing CDN services to many hosting and enterprise customers in Korea. Recently, many Korean companies are seeking new business opportunities in oversea areas where many locations have latency issues. So, CDN – AWS CloudFront is an essential component for those companies. Nextlink is an audited Managed Service Partner and uses Amazon CloudFront for fast, simple, cost-effective delivery of customers’ websites, APIs, video content or other web assets. Additionally, we offer 24/7 customer service and technical support, supporting better decision making, competitiveness, and revenue generation with our in-depth and easy to understand analytic tools and graphs. Elastic Transcoder, Amazon S3, Amazon CloudFront, and Amazon Route53 for global distribution of media. TO THE NEW is a digital technology company that builds disruptive web products and transforms businesses leveraging experience design, cutting-edge engineering, cloud, and analytics led marketing. We are passionate Software Craftsmen with Cross-functional team of 250+ AWS accredited developers, 40+ DevOps Engineers, 20+ AWS Certified Architects. TO. TO THE NEW has done various implementations using Amazon CloudFront for different use-cases like serving static site from Amazon S3, caching static & dynamic content using EC2 servers as origin, video on demand streaming via S3 & live streaming using Wowza on EC2 instances. They actively manage AWS infrastructure for many CloudFront customers. Delivery of a wide range of benefits for cross-channel commerce business processes, IT infrastructure, and operational units. AWS CloudFront is the CAPSiDE standard for all our AWS projects utilizing some form of digital web or ecommerce presence.This includes projects requiring global or international web content delivery, the transfer any kind of digital asset, such as e-Commerce sites and other web portals. CAPSiDE focuses on performance and scalability, and Cloudfront helps to fulfil this goal while improving customer experience and pagespeed. Setup CloudFront distribution, pattern and behavior rules to protect dynamic content from DDoS and caching static content to decrease load on ELBs or EC2. Bashton is part of Claranet Group, a Europe wide AWS Partner, including Morea (France) and Celingest (Spain). Bashton have two key focus areas in e-commerce and media. CloudFront is used for whole site acceleration, caching and serving dynamically generated pages where possibly as well as just static assets. Amazon CloudFront our preferred content delivery service for our customers around the world. We help our customers use Amazon CloudFront for files, such as images and statics files. Amazon CloudFront helps us identify, distribute and cache our customers' content objects to edge locations all over the world. As an active and experienced AWS Premier Consulting Partner, we don’t just deliver strategy, planning, implementation and business transformation, but invest heavily in operational services and operations capabilities to sustain performance and service quality for our customers. We operate using an innovative competency based offering, covering Cloud Data Centre, Application Innovation, e-Commerce, Digital Estates, Data Analytics, Cloud Adoption and Cloud Service Line.&nbsp;Cloudreach has delivered a large number of projects to customers in North America and Europe, many of them heavily rely on Cloudfront for delivering their services to end users. Cybercom has been in hosting business over 20 years running its own local CDN solution mainly for Media companies in Finland. Our customers are now asking more global solution. 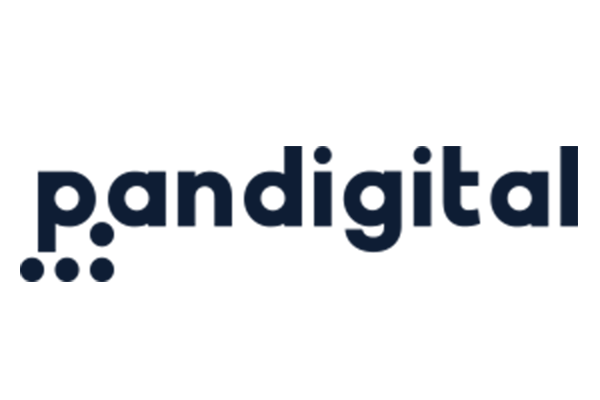 Connectivity and more advanced content delivery offering would complement our strategy and selected areas, where we want to excel. Nordcloud accelerates its customers’ AWS use with strategy consultation, solution design and implementation and managed cloud services. Media and gaming are very well represented in Nordcloud customer portfolio and thus need content delivery as a part of their solution. We actively promote and implement Amazon Cloudfront as the CDN of choice to improve performance of their websites and accelerate content delivery to end-users at lower cost and management effort.Over the course of years, Nordcloud has advised, designed and implemented several customer solutions on Cloudfront. The Amazon CloudFront content delivery network is optimized for low latency and high data transfer speeds and support Whole Site Delivery. CloudFront is directly connected with hundreds of end-user ISPs and uses the AWS backbone network to accelerate the delivery of your content end-to-end. As an active and experienced AWS Premier Consulting Partner and audited AWS Managed Services Partner we consult, implement and manage AWS based projects with CloudFront. CloudFront is used for whole site acceleration, caching and serving both static assets and dynamically generated pages or live Videostreams where possible, and WAF offers a useful layer of additional security. Access launched their “Publus” service in 2010, which packages all required functions for an e-book store using Amazon CloudFront. Publus may reduce initial costs, can help launch your business in a short period of time, and is a global platform, allowing our customer to expand to many markets including those outside of Japan. Classmethod helps AWS customers architect solutions using AWS CloudFront to solve for sudden spikes in web traffic and latency issues. Amazon CloudFront reduces latency and is part of our caching strategy for static files like top pages, pictures, which results in reduced loading times and accelerate web page access. Using best practices as a guide, we can assemble all of the required AWS services to build the right solution for your business. Pyvotal founders have 25+ years of experience in IT and supporting highly transactional ecommerce sites, as executives of multinational Fortune 100 companies. CDN, including Amazon CloudFront, has been a focus of Pyvotal since its inception and is a fundamental component of its consulting and Cloud business. Interested in becoming an Amazon CloudFront partner? Amazon CloudFront participates in the AWS Service Delivery Program. The AWS Service Delivery Program recognizes APN Partners with a verified track record of delivering specific AWS services and workloads to AWS customers, including Amazon CloudFront. To apply to become a Amazon CloudFront partner, apply online through the APN Portal today.